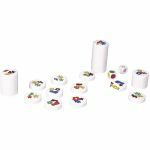 Roll the dice, get a color and symbol – then scramble to stack up matching magnetic disks. 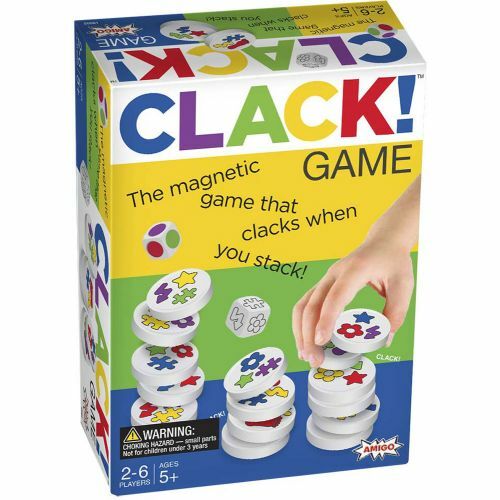 Kids love the magnets, and the way they "clack" when they stack. 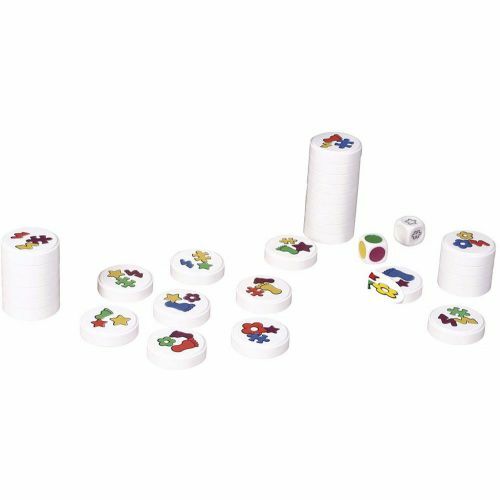 The player with the tallest stack wins. 2-6 players. 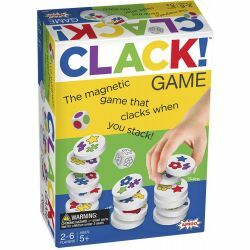 For ages 5-12 yrs, from Amigo Games.